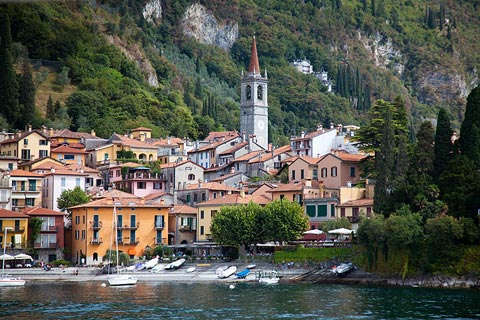 Varenna is in the centre of Lake Como, on the eastern shores of the lake, and easily reached by boat from the other towns around the lake. 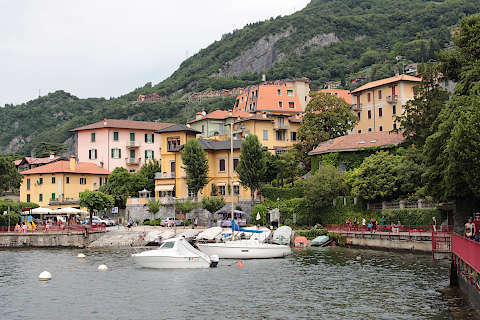 It is one of the few towns on the lake that is also served by a car ferry (as opposed to the 'people only' ferries that service most towns here) so it is a common arrival point for visitors staying on the western shore of Lake Como. 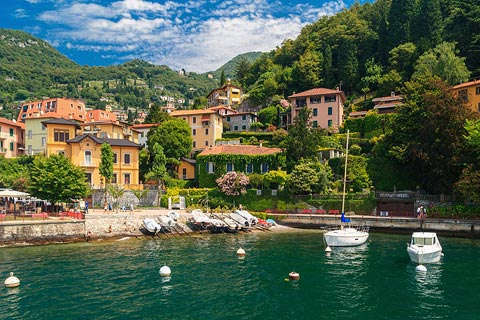 Italy This Way comment: although it is small, Varenna is one of the prettiest of the small towns on Lake Como, and also has some attractive gardens to visit, so we highly recommend you visit if you are exploring the lakes. 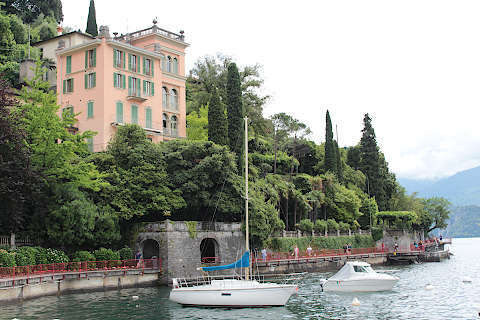 While it Varenna does not exactly avoid visitors, it tends to be less crowded than some of the more famous resorts around the lake. 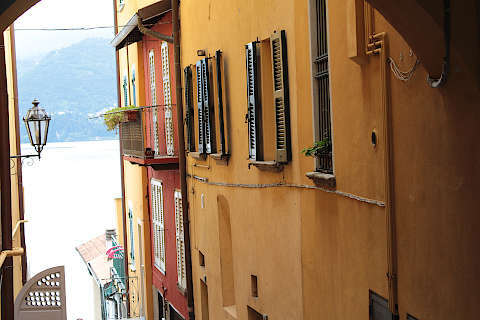 As with most towns on Lake Como you are likely to start your visit to Varenna with a promenade along the waterfront: the walk is very picturesque. 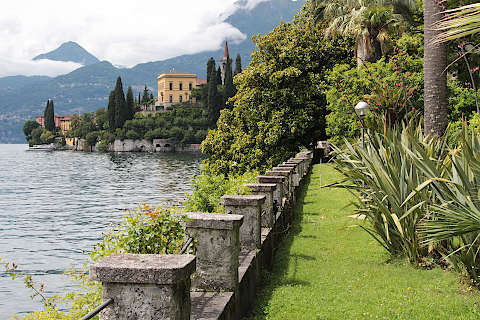 The path along the shore starts at the jetty where you get off the ferry, and the first part of the promenade is a narrow path that follows the side of the lake. As you approach the village centre you have lovely views across the harbour to the colourful houses and the church beyond, and with mountains rising steeply behind. 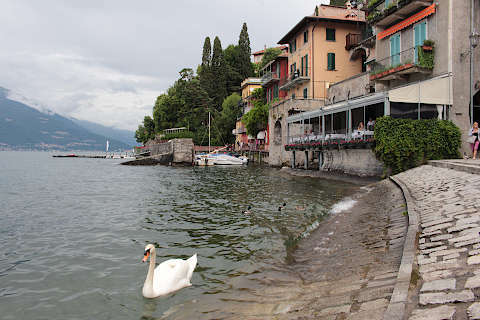 This part of Varenna has several small bars and cafes and is an idyllic place to enjoy your lunch. A little further and you reach a small stony beach. 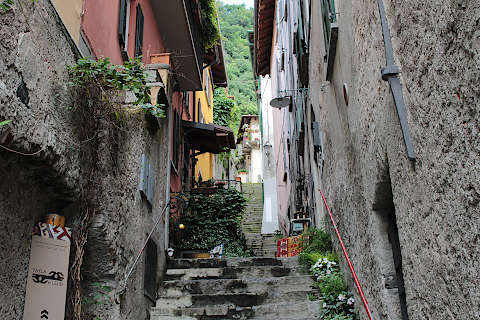 Behind the promenade, in the old part of Varenna, ancient alleys and stairs pass between the houses. 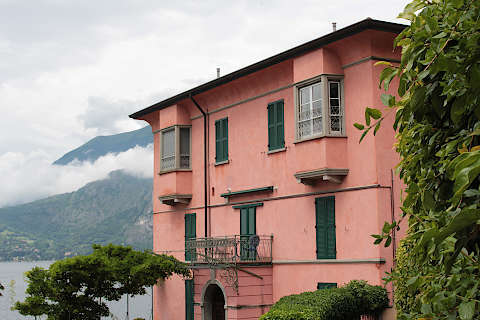 You will soon reach the main square in the village, the Piazza San Giorgio. 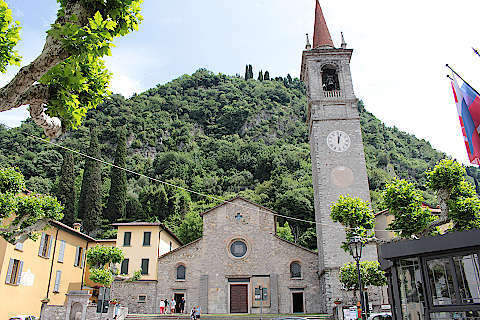 The main historic monuments in Varenna are the two churches on this square. 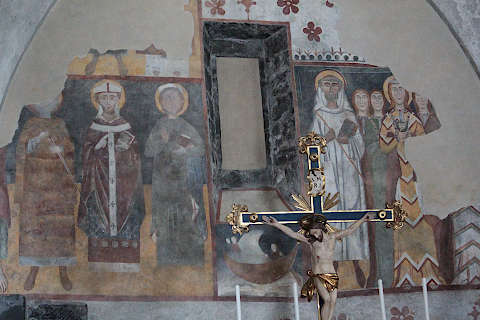 At the top of the square, the Church of San Giorgio is dominated by its tall belltower. 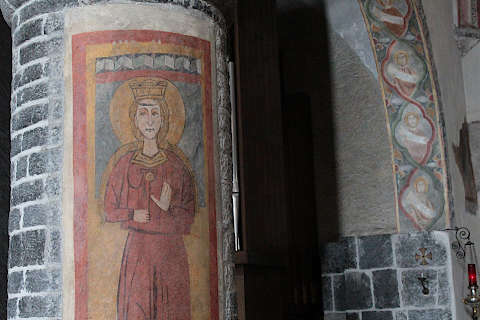 The main interst is inside the church, where you can see ancient frescoes and a wooden 'mise au tombeau' sculpture. 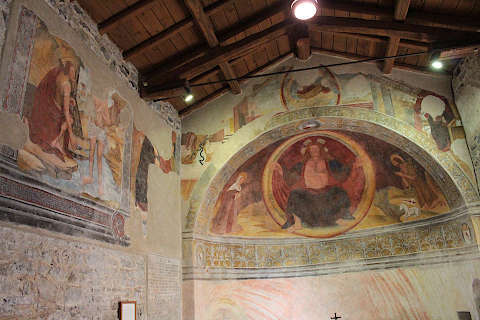 The small church at the bottom of the square is the Church of San Giovanni Battista: this is quite unremarkable from the outside, but also has impressive medieval frescoes inside. 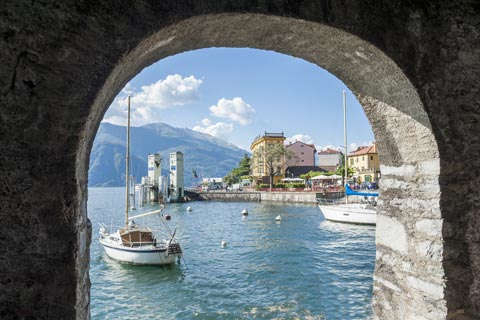 After exploring the centre of the village you can visit the castle, the Castello de Vezio, that overlooks Varenna and dates from the 11th century. It is quite a steep walk to get here but the views from the castle justify the effort. During the summer various events are held in the castle for visitors, including falconry exhibitions. 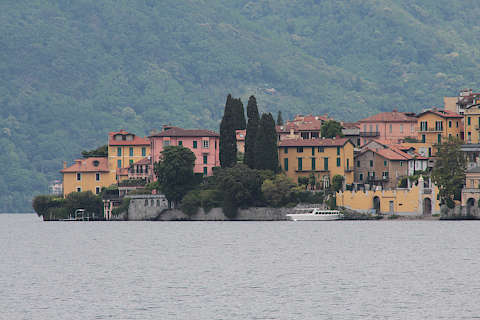 The town also contains several imposing and luxurious villas. 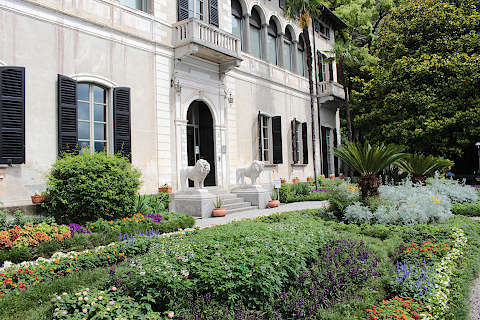 Garden enthusiasts will be pleased to know that two of these villas have lovely gardens that can be visited: Villa Monastero (as you might guess from the name this villa was once a monastery) and Villa Cipressi (now a hotel). Both are in idyllic lakeside positions, and as well as the gardens you also have lovely views across the lake to the village.. 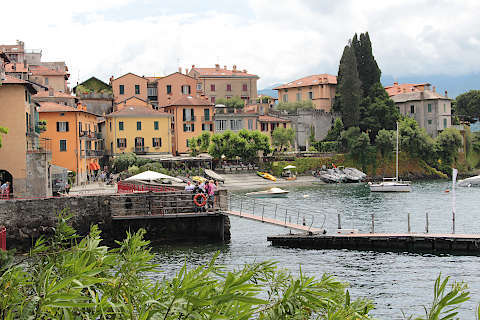 If you continue towards Pino, south of Varenna, you have some attractive views of the village on its promontory. 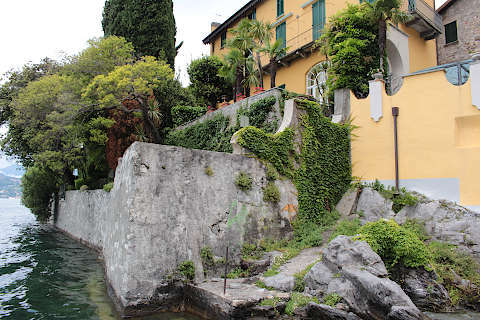 A short distance south of Varenna at Fiumelatte there is stream that is commonly referred to as the "river of milk" because it is foaming as it descends steeply from the mountains. It is also the shortest classified river in Italy - the entire river above ground is only 250 metres long! 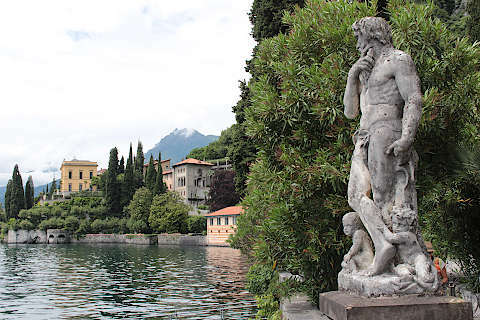 There are more lovely lake views from nearby Perledo. 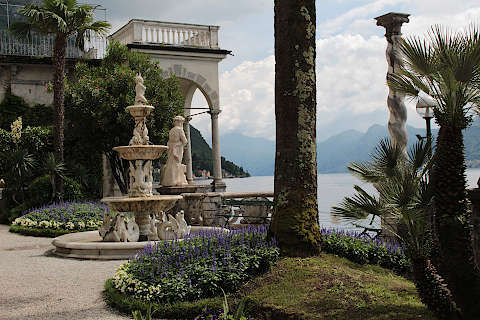 To see more of the many highlights including Bellagio and Menaggio, both just across the lake from Varenna, see our Lake Como guide. 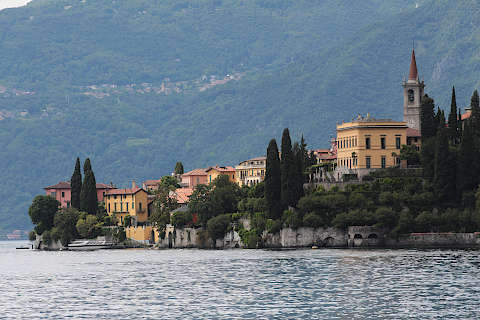 It is worth noting that there is a train station at Fiumelatte, on the edge of Varenna, so it is possible to get here without a car, for example from Milan, and then explore the other towns around the centre of Lake Como such as Bellagio and Menaggio by using the ferry. 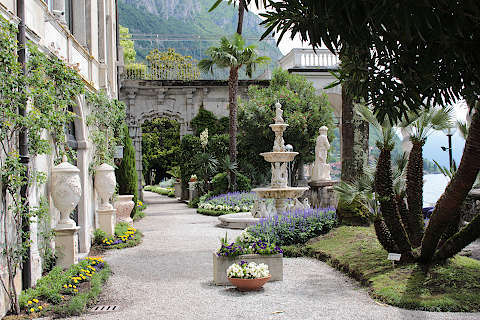 You can find more local travel ideas in the Lecco guide and the Lombardy guide. 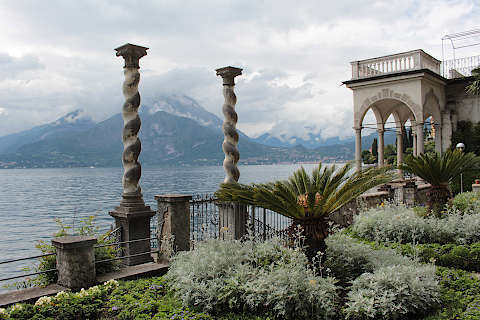 Villa Balbianello is a lovely villa on eastern Lake Como, used as a location in Star Wars II.